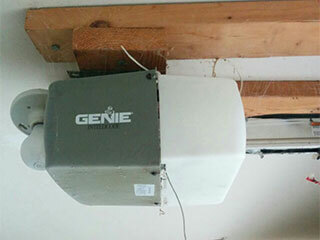 The heart of every garage door opener is the motor. Without its proper operation, the whole system will not work at all. That is why it is really important to focus on the selection of a motor and then to move onto the rest. At present, there are a growing numbers of options, so it pays off to assess them carefully in order to make the best choice. Find out how to do this. Traditionally, electric operators have come with AC motors. With the advancement of technology in the 1990's, however, manufacturers began to introduce models with DC devices as well. Now this is a major trend. Still, both options are available to you and it is important to compare them by looking at the pros and cons of each one. Evaluate AC motors - These devices do not require power conversion as they use the AC current of the home electric grid directly. The presence of fewer components lowers the risk of malfunctioning and damage. In general, the AC devices tend to have a longer useful life compared to their DC counterparts because they do not have parts which are prone to wearing apart from bearings. However, they cannot pull off the same kind of performance. Assess DC devices - These garage door motors are lighter than their counterparts and this makes the installation of the openers easier, quicker and more reliable. Since they operate more quickly than their AC counterparts, they allow for higher opening speed. Another one of their benefits is the faster response. They help to change the course of the door and the speed super swiftly and this is extremely important for safety as well as for convenience. They allow for smoother, quieter and more reliable operation of the door. Yet another major advantage of the DC devices is that they are more energy-efficient. Even though the DC brush motors tend to have a shorter useful life than the AC ones, the brushless devices have similar life expectancy. Once you have decided on the right type of motor for your overhead door, you need to look more closely at the different models and evaluate each one. Consider the design and make - Ideally, the device should be constructed of strong components which are resistant to damage and do not wear out easily. The design should allow smooth operation and minimize the risk of blockage and damage. Check whether there are features which contribute to greater energy-efficiency. Go for the optimal horsepower - The motor should produce enough horsepower to lift the door, but no more as this can lead to energy waste. The horsepower has to be selected in line with the weight of the door. Heavier doors require more powerful devices and vice versa. Appraise performance - You have to check how dependable, speedy and quiet the motor is. You should consider its overall energy-efficiency. Keep in mind that the dependability of the device is typically reflected in its warranty. The longer and more comprehensive it is the better. Once the new opener with the selected motor is installed, it should work optimally at all times. If there are issues, Garage Door Repair Stillwater can help you resolve them.